One thing the Lenovo brand really excels at is making great business laptops. If you’re in the market for a 15-inch model with IT-friendly features, wide port selection, and durable build, then perhaps the Lenovo ThinkPad E580 is what you’re after. It really offers good performance and doesn’t cost as much as you might think – especially if you use promo codes. The typing experience on this product really stands out. The keys have 1.78-millimeters of travel and require 72-grams of force to press down. They also offer good tactile feedback. There is a dedicated numeric keypad. A backlight is optional. You can get the E580 in either dark-silver or black. The TrackPad features a pointing stick between the “G” and “H” keys, which is easy and precise to use. There is also a 3.9-inch x 2.6-inch touchpad that provides accurate navigation without any jumpiness or stickiness. It responds to multi-touch gestures like three-finger swiping and pinch-to-zoom. The processor is available for up to an 8th Gen. Intel Core i7 model (8550U), with 1.80-GHz to 4.0-GHz capabilities, depending on the Turbo Boost technology (8MB cache). There is a cheaper configuration available with a 7th Gen. Intel Core i5 processor (3MB cache). If integrated Intel UHD graphics are not enough for your needs, you can opt for an AMD Radeon 2GB RX 550 graphics card. Another optional feature is the display. The base display is only a 15.6-inch HD anti-glare panel with 1366 x 768 resolution. There is a more impressive option available: a 15.6-inch FHD IPS display with 1920 x 1080 resolution. For video chats and recording, the Lenovo ThinkPad E580 comes with a 720p HD camera with dual-array microphone. With a full array of ports including USB 3.1, USB C, HDMI, etc., and 2×2 AC Wi-Fi, this machine will keep you connected to external devices and the internet. Choose Windows 10 Home or Windows 10 Pro for the OS (Lenovo recommends the latter). For the memory, get up to 16GB DDR4 – 2400 MHz. There is a variety of storage configurations available, including 1TB 5400-RPM, 500GB 7200-RPM, and a PCIe SSD Opal2.0 drive with up to 512GB. Go with a dual drive storage solution with the Lenovo ThinkPad E580 if you want. Keep data protected with useful security features such as a dTPM 2.0 chip, Windows 10 Pro Bitlocker, and optional touch fingerprint reader, which thwarts biometric hacking attempts with anti-spoofing technology. 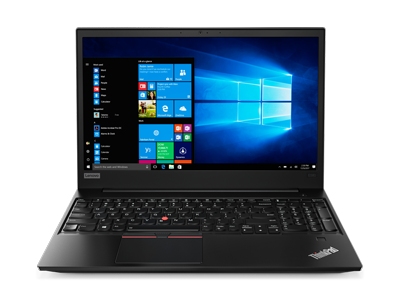 Long-battery life (up to 13 hours), 720p HD camera with dual-array microphone, Kensington Lock Slot, headphone / microphone slot, and Bluetooth 4.1 are additional features of the Lenovo ThinkPad E580. It really is a great machine that has a lot to offer. If you’re looking for a good deal on a business laptop, all you have to do is use Lenovo promo codes. There are ways to get a great, top-notch notebook at an affordable price. You can save a lot of money simply by adding a Lenovo ThinkPad E580 coupon to your order. 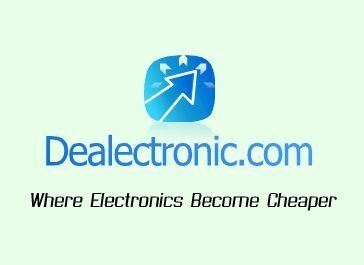 Posted in Laptop Reviews, Lenovo Laptop Reviews, Lenovo PC Reviews and tagged laptop, lenovo, lenovo laptop, lenovo thinkpad e580.